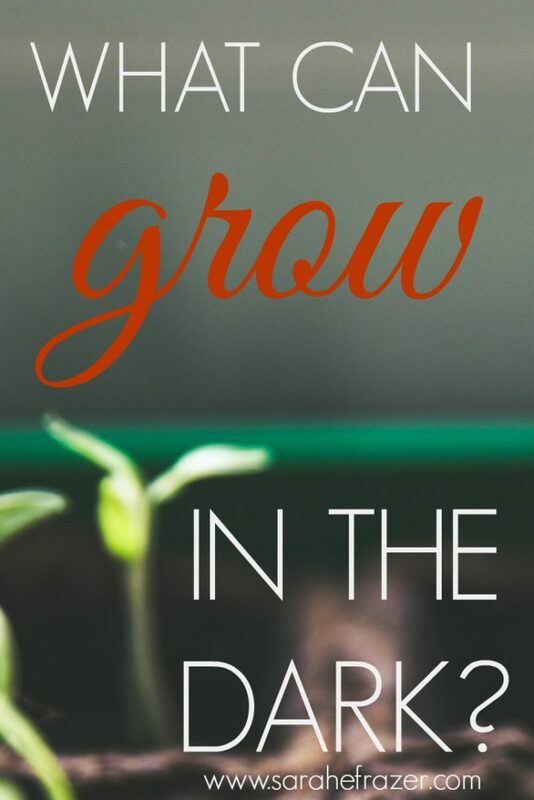 What Can Grow in the Dark? Our God uses every element of creation to work together in order to produce life: the soil, the rain, even the storms. After the seed breaks apart, it is almost washed away by the water. In the deep dark it begins to grow under the soil. The first part its of growth is underground, in the dark. During our dark seasons we wait for daylight. We wish for the difficult season to just be over. We wonder what can grow in all of this darkness? In the dark is when we feel the most alone. 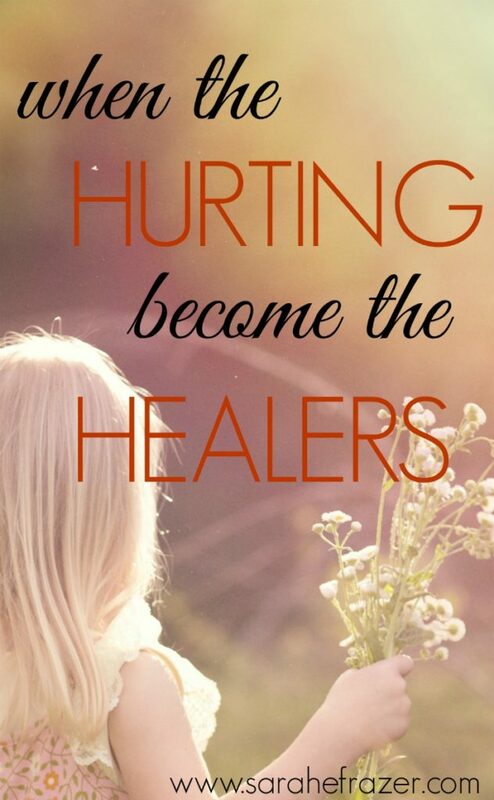 When our hearts are hurting, we ask why…. We know the Gardner is calling us trust Him, but how can we trust, surrounded by darkness? Just as a tiny seed’s first growth is hidden, we sometimes don’t recognize our own growth during the storm. Is the seed scared of the dark soil? Does it feel suffocated and alone? And does it see the green poking out from the broken shell? The growth might be hidden right now. It might be hard to see any progress. Take comfort in knowing that God can see in the dark. It is miraculous for a huge apple tree to start out as a small black seed, and equally miraculous to watch it grow over time. We often like to skip to the end, but God is asking us to trust Him, even in the dark times. Our tears will water the soil. Our Heavenly Father sees the seasons of loneliness, loss, and heartache. Just as He uses the thunderstorms to help grow His creation, He is using this time of suffering to grow us as well. He is patiently tending our hearts. Nothing is wasted with God. We can cling to His steadfast love. We can believe daylight will come. And if the night season lingers longer than everyone said it should, we will remember He sings to us in the night. So when morning dawns, we might be surprised to find what grew in the dark.